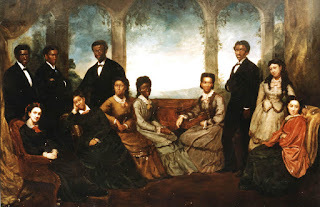 On this October 6th I am moved to write a little something on the founding of Fisk University on this day in 1866. 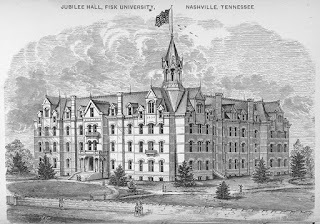 One of the first schools in the country founded for the purpose of educating freed slaves, the original Fisk School was named for a Union Army officer, General Clinton B. Fisk. The original land was a Union Army base, and some of the original buildings were army barracks. Used shackles and chains were found on the property and were utilized as scrap metal. Since slaves had been forbidden to read or write, students of all ages clamored to enroll. Of course the Ku Klux Klan did not like the idea of blacks being educated, so they repeatedly burned down the wooden buildings where classes were held. When music teacher George White overheard some of the students singing the old plantation songs, he decided to arrange them in European-style 4-part harmony, and put together a group of his best singers to set out on a fundraising tour. 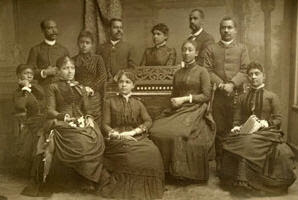 That group became internationally known as the Fisk Jubilee Singers. 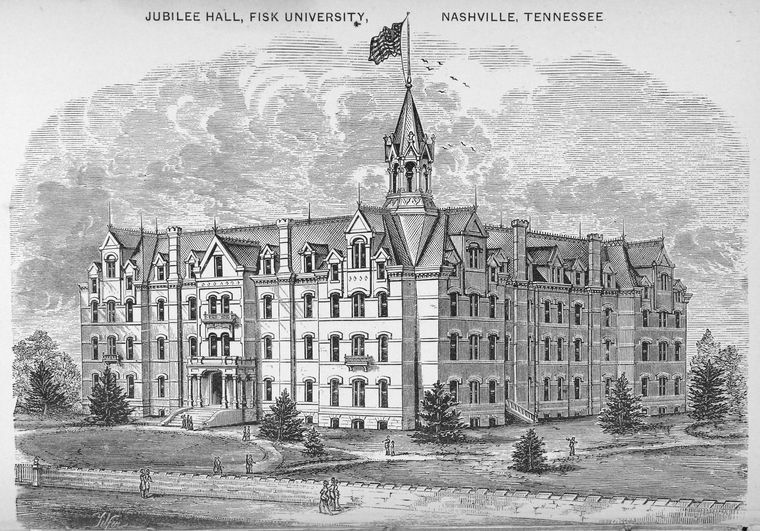 Jubilee Hall, a massive stone structure built with money raised from those original tours in 1871, was the first permanent structure built in the country for the purpose of educating freed slaves. It was surrounded by a high stone wall to keep out the Klan. 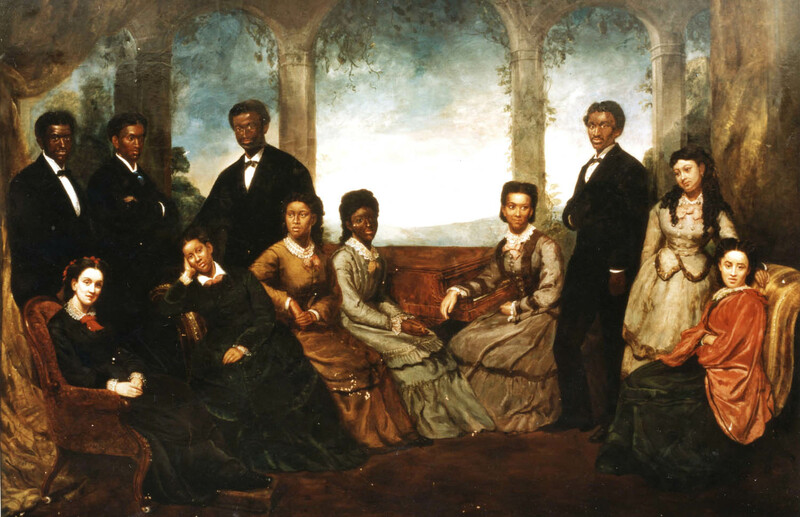 Court of Queen Victoria who coined Nashville "Music City"
It is a little-known fact that Nashville is called "Music City" today because of the Fisk Jubilee Singers. When Queen Victoria heard them sing in London in 1872, she proclaimed that, "...they sing so beautifully they must be from the Music City." 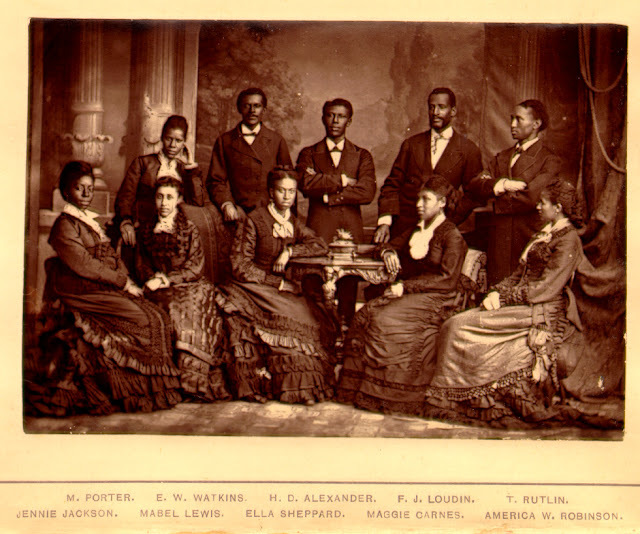 At that time, Nashville was virtually destroyed after the war so the Jubilee Singers put Nashville on the international map. It was a quote that was heard around the world, and gave Nashville its nickname. 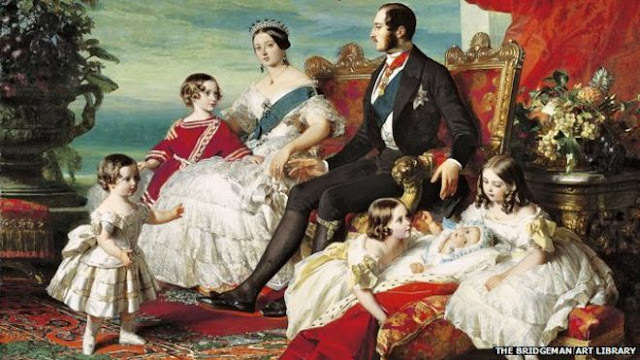 The Queen also commissioned a life-sized portrait of the group, which hangs today in Jubilee Hall. 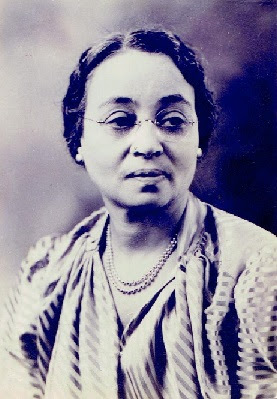 Ella Sheppard, one of the original members of the group, notated the melody of one of those old plantation songs (which eventually became known as "Spirituals"). The song was "Swing Low, Sweet Chariot," and her arrangement was used by Czech composer Antonin Dvorak in his "Symphony from the New World." 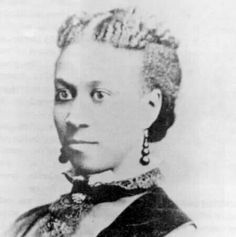 Ella Sheppard had been born a slave, and was purchased by her father from their slave-owner for $350. Our first African-American Mozart - a woman - bought and sold for $350! Fast-forward 50 years from the founding of Fisk to when my father was born in rural Georgia. In 1932 when my father was 11, the famous Russian pianist Serge Rachmaninoff came through town to give a concert. My father had already shown evidence of having musical talent, so his white teacher made arrangements for him and his mother to attend the concert. As they watched from the segregated balcony, he had no idea that this concert was going to change his life forever. Matthew later imitated the playing-style of Rachmaninoff, which won him a scholarship at Juilliard in New York. His teacher at Juilliard happened to be one of the benefactors for Fisk, and made it possible for Matthew to enroll in the bachelor's program. 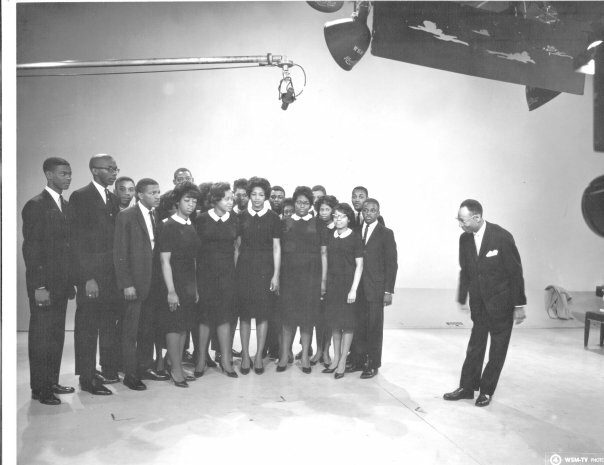 While a student at Fisk, he was engaged to work as piano accompanist for the Jubilee Singers, and eventually was appointed to serve as their director in 1957. He directed them until his retirement in 1986. 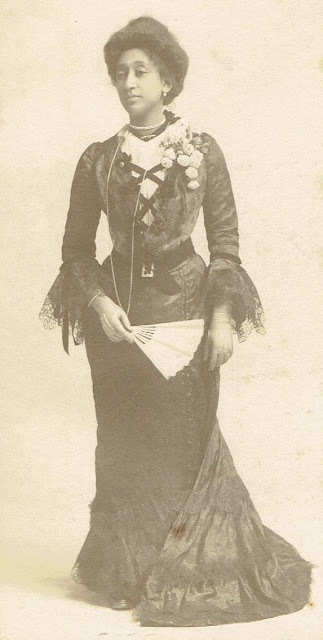 As director of the Fisk Jubilee Singers, Matthew Kennedy collected a treasure trove of recordings, programs, articles, photographs, etc. from all over the world, all of which sat in his garage collecting dust. After my mother's death, I decided to go through the material, digitize everything, and apply for funding for a film project. The end result was the award-winning documentary, Matthew Kennedy: One Man's Journey.